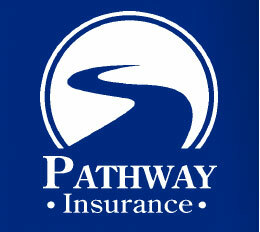 If you need to know what coverage for dump truck insurance in Texas is right for your company contact the specialists at Pathway Insurance. With many years of experience we can answer your questions and find the coverage you need for a price that is affordable. Call us by dialing 800-998-0662 to speak with a license agent Mon-Fri until 5 PM CST or use our convenient online submission system when you click on Texas dump truck insurance. You may also talk to an agent live on our website by clicking our chat button on the bottom right hand side of this website. Texas Dump Truck Insurance – Coverage for a Variety of Dump Trucks. Since 1910 dump trucks have been an integral part of the formation of modern life. There are many different types of dump trucks that help to move debris, transfer supplies and help keep the roads clear in the winter. The standard dump truck is the one most people are familiar with. They have the hauling body mounted to the frame of the truck and use hydraulics to lift and lower one side. 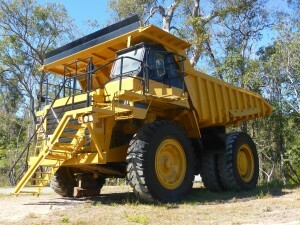 A transfer dump truck is similar to a standard, but it is separate trailer that is pulled and has a movable cargo container. It is more common to see these types of truck in the western United States due to weight limit restrictions on roadways. Semi-trailer end dump trucks are a tractor-trailer dump trucks that have the advantage of allowing the load to be removed quickly. One large drawback is that they can pose a safety hazard due to the raised dumping position making it vulnerable to tipping. Winter service trucks operate during the winter clearing snow and spraying salt solutions on the road to keep them from becoming icy. No matter what type of dump truck you own for your company it is important to remain safe. Dump trucks have the potential to cause significant property damage, injury, or even death due to accidents. It’s important to follow prudent safety protocols. Texas Commercial Dump Truck Insurance – Safety Tips for Dump Truck Drivers. There are some things you can do to increase your safety while working. When you begin and end each work day it is important to check your truck for wear and tear damage as well as making sure all systems are working properly. Tire inflation, lug nuts and pressure levels should be checked too. While on the job you should remain clearly visible by making sure to wear reflective and bright clothing. Protective gear should also be included in your work outfit, including sturdy shoes with strong traction. Other necessary equipment are a first aid kit, fire extinguisher and traffic cones. Since dump trucks are so large and long it is possible for them to pose a tipping hazard. To avoid tipping do not overload your trailer, make sure you’re on a level surface, and be extra cautious when the truck bed is raised. Electrical wires overhead are very dangerous. If not careful serious injury can occur. When a truck touches electrical wires it can create a hazard by becoming a conductor for dangerously high levels of electricity. Being aware of your surroundings and maintaining your truck are two of the best ways to stay safe while working with a dump truck. Do You Have the Texas Commercial Dump Truck Insurance Protection You Need? Call one of the licensed agents at Pathway Insurance at 800-998-0662 toll free a or click on Texas dump truck insurance to begin your quote today. Online agents are available 7 days per week, Chat with us right now if it is not after 5 PM CST. Keep in mind in some cases significant discounts can be applied when you combine your General Liability Insurance with your Commercial Business Auto Insurance for dump trucks.